Hello and Thank You for taking the time to see the latest listing of a Performance Car by The Motor Masters! Up for sale is a 2006 Mercedes CLS 500 4 Door Sedan with ONLY 35,710 MILES!!! 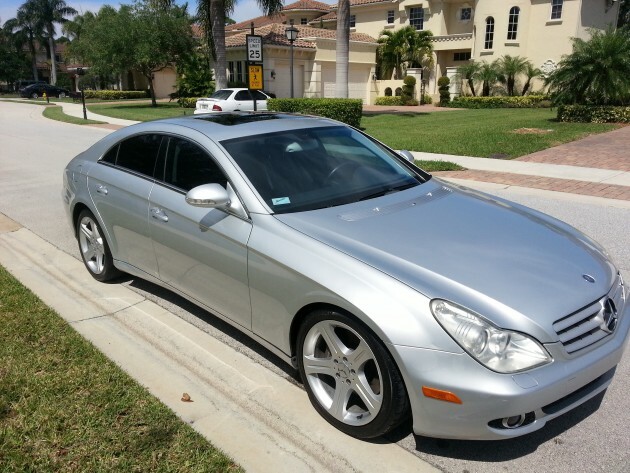 It is a SUPER CLEAN FLORIDA MERCEDES that is Silver with Black Leather Interior. This Mercedes is loaded with Power Options, including Bose/Harman Kardon Stereo with Rear CD Player, Navigation System, AMG Sport Package, and Power Glass Sunroof. Has the 5.0L V8 Engine. Runs and Drives Smoothly! CLEAN VEHICLE CHECK AND ACCIDENT FREE!!!! BUY WITH CONFIDENCE!!! I HAVE A 100% POSITIVE FEEDBACK RATING FROM ALL MY CUSTOMERS!! !